This isn’t much of a recipe. That is, the ingredients aren’t anything special and there are no strict measurements for them. 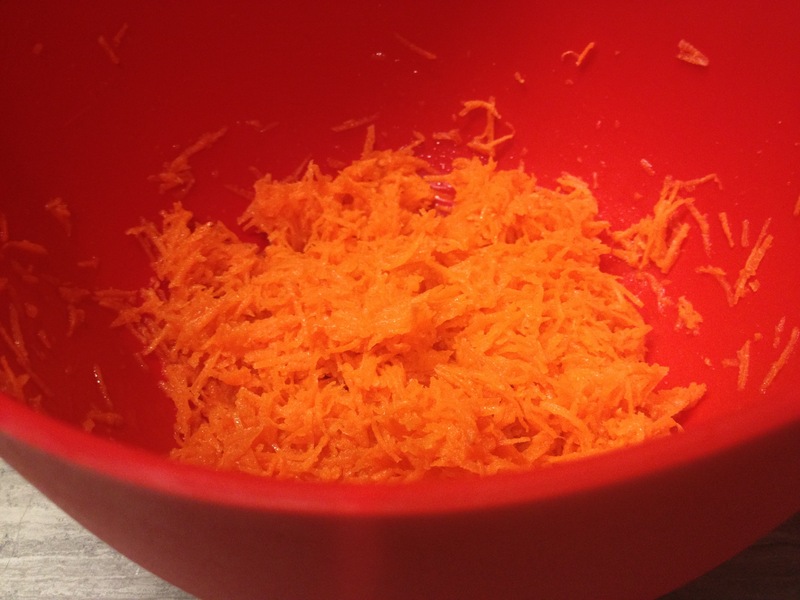 But there are a few things that are important, and if you follow them, this simple combination of carrots, lemon juice, olive oil, and salt become something ethereal but snappy, light but hearty. This is what you do. 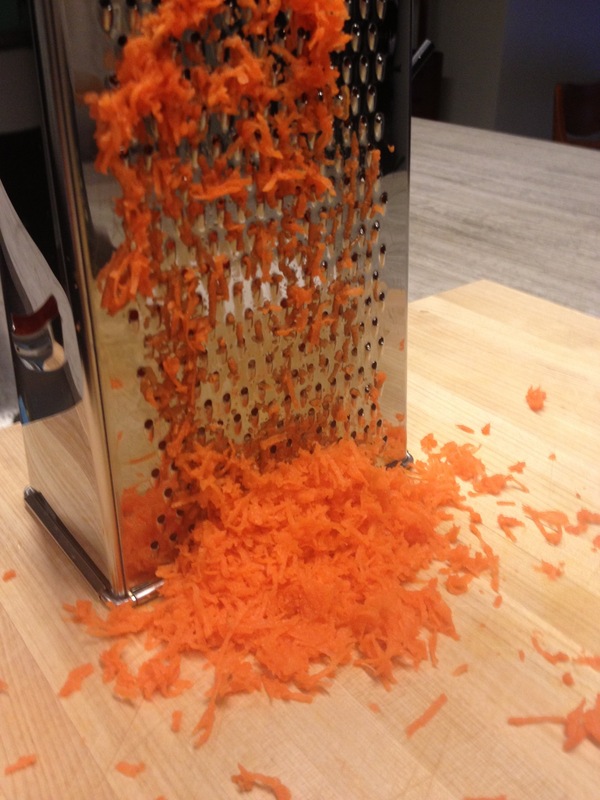 Take carrots (here I took 6 small ones) and grate them using the small teardrop holes of the grater. This is important. The small teardrop holes shred the carrots into fine threads that are juicy but have just a tiny bit of bite to them. The result is a mushy pulp that makes you want to take another bite, and another, and another. I know it’s a pain and that the large holes take less time, but trust me on this one. 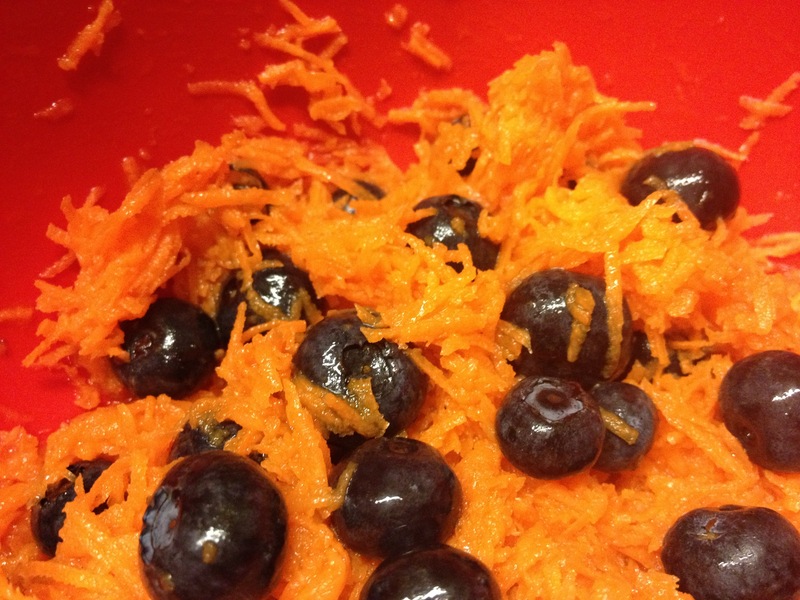 Put the carrots in a bowl and add a generous splash of good olive oil (for the 6 small carrots I added 1 1/2 tablespoons) and a good amount of lemon juice. None of the bottled stuff. You need real juice from real lemons. And you need more than you probably think (I used 1 tablespoon here). Finally, you need salt (I added 3 good pinches of kosher salt). The result is sweet, sour, salty, and a little fatty, thanks to the oil. It should all end here, and it almost always does. But as I opened the fridge to put the half cut lemon back in, I saw the packet of fresh blueberries I had bought earlier and I though, what the hell. So in they went. And you know what? It worked great. Again, sweet, sour, salty, and fatty. Can’t go wrong. But if you don’t have blueberries, no worries. 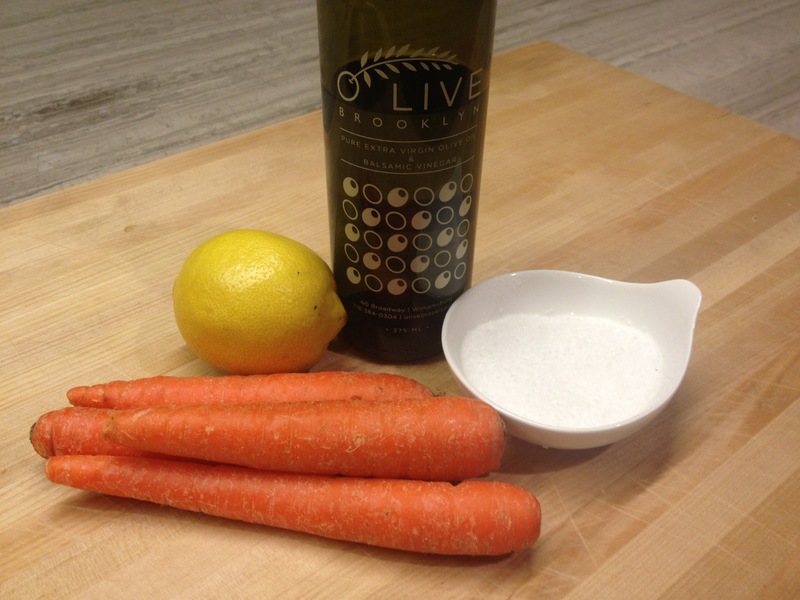 All you need is carrots, olive oil, lemon juice, and salt. Simple as that.